This scriptural telling of the first Easter is from the International Children's Bible, using only straight Bible text from the Gospels of Matthew, Mark, Luke and John. 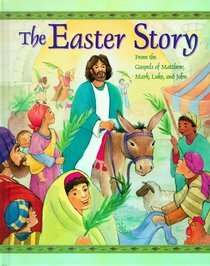 The pure message and endearing illustrations will help you discover the true meaning of Easter. Perfect for families to read together.